A4 pastel coloured shades offer the feel and performance of paper but with the strength and durability of a polyester film. Suitable for dry toner based digital mono and colour copiers and laser printers. 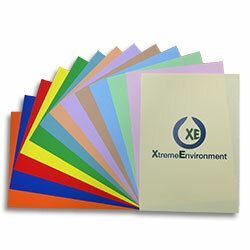 Waterproof, greaseproof, tearproof, wipeable and punchable. No lamination required!